For many of us in this world, we just came out of a “holiday season”, a.k.a., holiday marathon. All that partying, dining, and skipping sleep finally caught up with us. We feel that we need a holiday after the holiday. 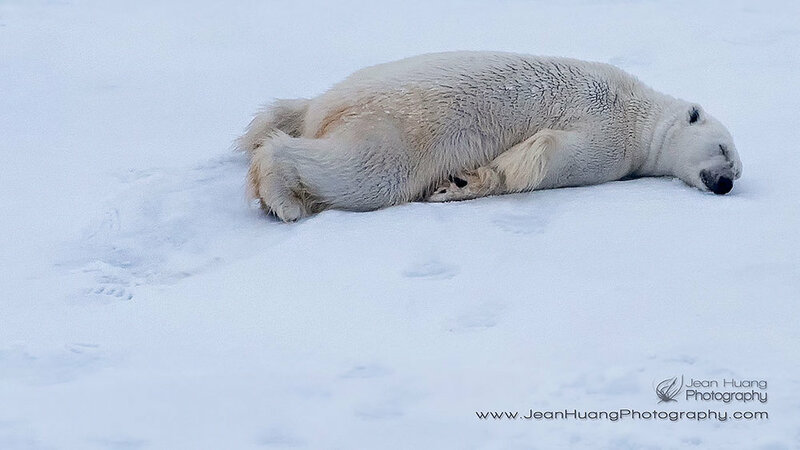 When we met this polar bear, he just finished a big meal. Not sure if he partied as hard as we did. I felt that I can relate to him though, especially after not one, not two, but too many good and rich meals. I thought I found a language that I can communicate with the King of the Arctic. 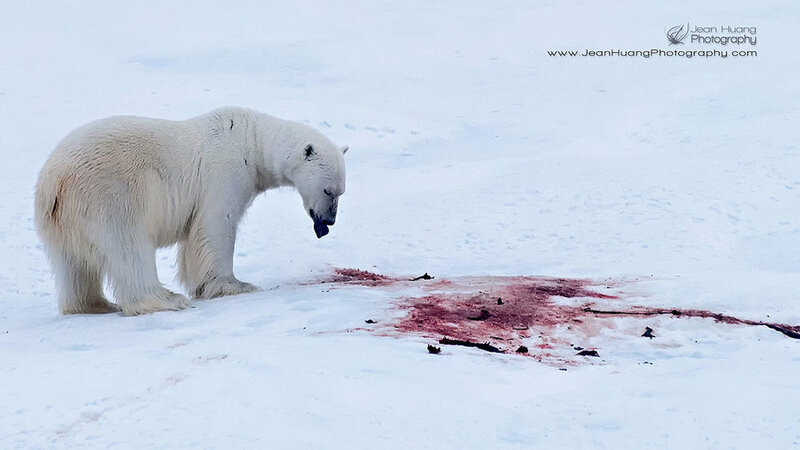 Question for you: what is polar bear’s skin color?